Katy Kim is a student. 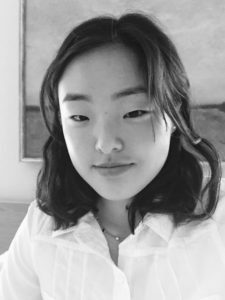 Her work is forthcoming or published in Cleaver, Hermeneutic Chaos, The Blueshift Journal, the Asian American Writers’ Workshop, and has been featured on Verse Daily, among others. Her chapbook, “Melon / Echelon” is forthcoming from Hermeneutic Chaos Press.